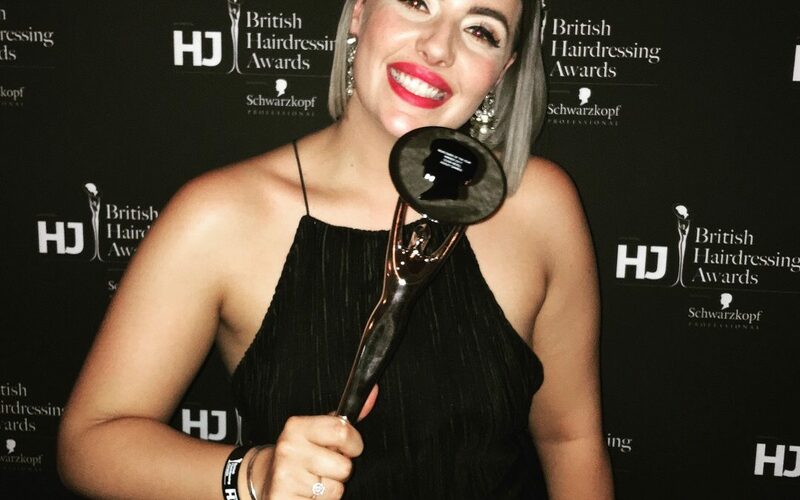 Shifnal stylist at Ashley Gamble scoops Newcomer of the Year at HJ’s British Hairdressing Awards, sponsored by Schwarzkopf Professional. Hairdressers Journal International celebrated the very best of home-grown hairdressing talent at the British Hairdressing Awards, sponsored by Schwarzkopf Professional. The star-studded ceremony took place on Monday 27 November at London’s Grosvenor House, a JW Marriott Hotel on London’s Park Lane hosted by Cat Deeley, alongside HJ’s executive director, Jayne Lewis-Orr and Schwarzkopf Professional General Manager Stuart Hamid. More than 1,500 of the top hairdressing talent from across the country attended the awards, which is a celebration of the most creative and technically-gifted hairstylists in Britain. There are 16 categories in total; nine regional and six specialist awards and, the ultimate accolade, British Hairdresser of the Year. The Newcomer award is an exciting and inspiring category, highlighting the next generation of leading hairstylists and recognising the ones-to- watch in years to come. Each entrant must submit a series of images demonstrating not only their technical dexterity, but their creative vision and comprehension of current trends. Looks must be wearable and beautiful, as well as pushing the boundaries and limitations of hairdressing to showcase the pinnacle of a hairstylist’s creativity. Finalists are then judged, twice, by a panel consisting of hairdressing legends, leading national beauty press and past winners of the awards who have since joined the British Hairdressing Awards Hall of Fame; an accolade presented to those who win the same category on more than three occasions.